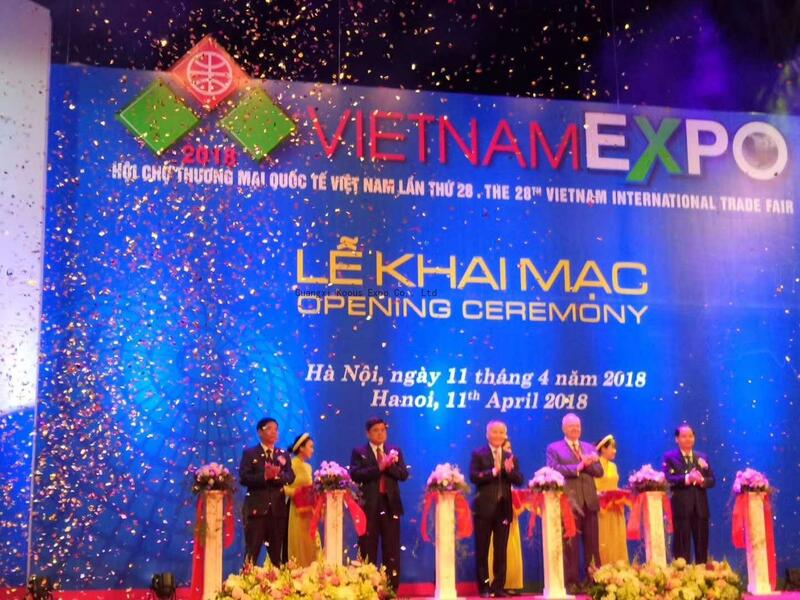 The Hanoitimes - International exhibitions on telecommunication, information technology & communication, broadcasting, and electronics (Vietnam ICTCOMM 2018 - Broadcast Vietnam 2018- Electronics Vietnam 2018) were opened in Ho Chi Minh City yesterday (June 7). More than 300 exhibitors from 20 countries and territories around the world are attending the exhibitions. Along with enterprises from Asian leaders in technology such as Japan, the South Korea, Singapore, Hong Kong (China), Thailand and India, the exhibitions also drew major Vietnamese firms including MobiFone, LeLong, Zioncom, Du Hung, Bizentro Vietnam, TCx Technology Vietnam, and Tung Viet communications. The exhibitions serve as a platform for investors, businesses and customers to meet and seek partnerships in telecommunications and information technology. The events also aim to help local firms update the latest trends, products and technology in the field. With a highly secured online trading system provided by the organizers, participants can easily search for information, book appointments and manage their transactions. Visitors at the expos will have an opportunity to experience advanced technologies, equipment and solutions for the aviation industry, digital data systems and centers for libraries, schools, hotels, supermarkets, GPS applications, telecom products, broadcasting technologies, Internet services and applications, and security solutions. Within the exhibitions’ framework, a number of thematic conferences and seminars will also be held to discuss issues related to the fourth industrial revolution. The expos will be underway until June 9.